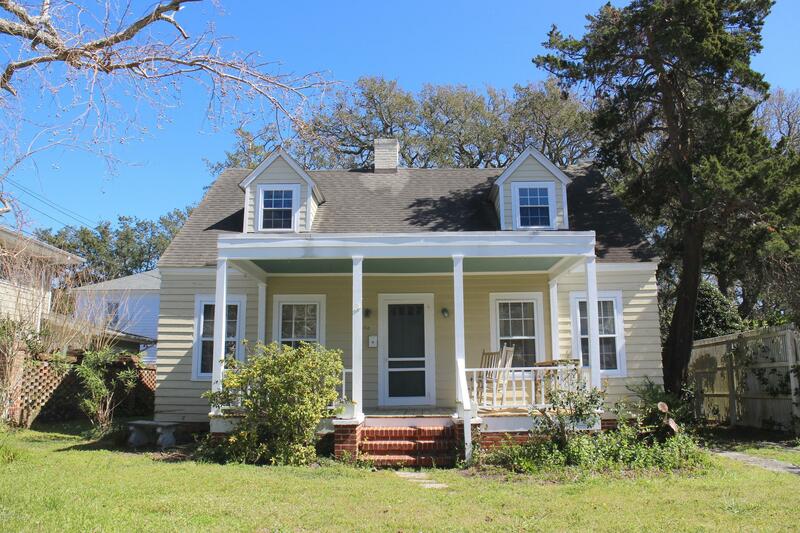 Heart and Soul in this 1932 cottage in downtown Beaufort! 3 bedroom 2 bath home with good bones and tons of charm and possibilities! 5 panel doors, hardwood floors throughout, 1930's details, hardware & light fixtures! built-in's - even a swinging kitchen door. Front porch to enjoy the breezes off Taylor's Creek just steps away. An easy walk, bike ride or golf cart distance to downtown, restaurants, shops, parks & boat ramps. Nice size back yard ready for gardening, and backyard barbecues! Perfect location in town - call today to preview this classic cottage!